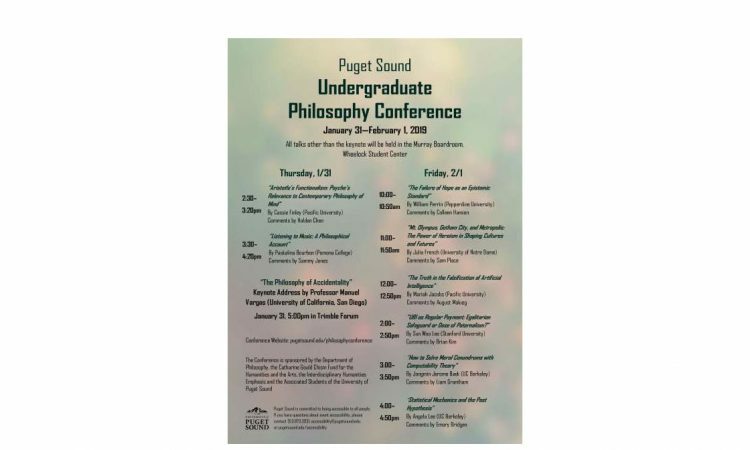 Students from across the country gathered on Jan. 31 and Feb. 1 to participate in the fifth University of Puget Sound Philosophy Conference, a student-led event in which undergraduates presented their philosophical research and engaged in academic discussions. 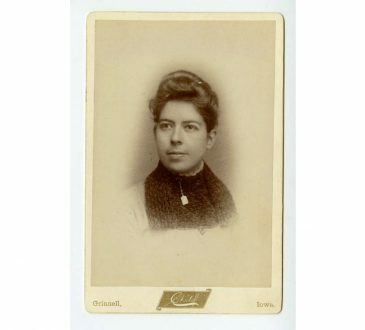 Topics ranged from artificial intelligence to heroism, attesting to the mission of the conference: “to facilitate and cultivate wisdom through discussion,” as stated by Colleen Hanson, a senior philosophy major at the University of Puget Sound, who was also a key figure in organizing the conference. Some other students responsible for the success of the student-led conference were juniors Holden Chen, Liam Grantham, August Mauleg and sophomore Brian Kim, who all worked together with the support of the philosophy department faculty. “Everything has been up to us. … We get to run the conference ourselves,” Hanson said. Out of 52 submissions, a total of eight papers were selected to present between Thursday and Friday. All student talks were held in the Murray Boardroom. Among the presenters were students from University of Notre Dame, University of California Berkeley, Pacific Lutheran University, Pepperdine University and Pomona College, which added to the feeling of community the organizers of the conference were hoping to establish. “It’s really interesting hearing other people’s points of view as far as philosophy goes … especially since it’s a lot of people my age,” junior Ariel Watanabe from Pacific University, who was attending the conference for the first time, said. 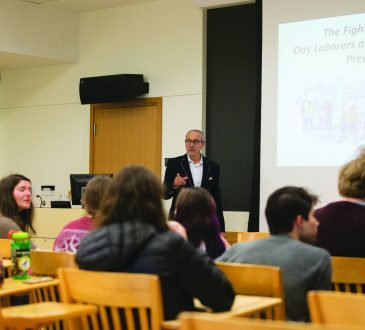 Vargas spoke on the topic in Trimble Hall on Thursday night at 5 p.m. after the student presentations had finished for the day. Students from all majors and grades were welcomed to participate in the activities, and even encouraged to do so. The conference was “not restrictive to people studying philosophy or people in the discipline,” Chen said. The conference, though intellectually challenging, also sought to provide an approachable atmosphere that allowed the community to participate. First-year Alex Miller, who attended both the keynote speech and student talks, described the whole conference as welcoming. “They had briefings and papers that made it really simple to follow along,” Miller said. After each presentation, students in the audience were encouraged to raise questions and even give their own opinions on the topics discussed. 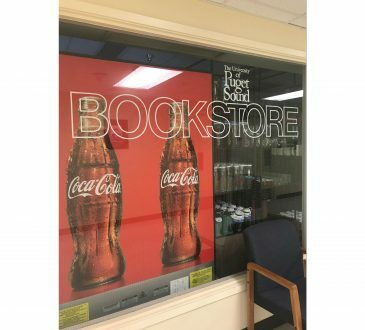 “I … really liked how we got to discuss in small groups, because that’s the way I learn best,” first-year transfer student Amelia Burkhart said. The conference was inclusive and pushed students both within and outside the philosophy department to think and engage with other points of view. “I love the idea that people are coming from all over and are sharing their ideas and allowing us to engage in those critical conversations,” Hanson said, highlighting the value of this student-led conference. By allowing students to organize events and both conduct research and share these topics amongst their peers, this conference offered a really unique opportunity for students to delve into the multidisciplinary and hands-on experience of a liberal arts education. Sorority vs. Fraternity recruitment experience: Is one stricter than the other?